VIP HOME PERSONAL TRAINING IS ALL ABOUT TOP QUALITY PERSONAL TRAINING, IN YOUR HOME. WE HAVE CHOSEN OUR TRAINERS VERY CAREFULLY FROM AROUND THE WORLD. WANT. WE WILL COME TO YOU AND DELIVER FITNESS TO YOUR DOOR STEP. TO COME TO OUR HEALTH AND FITNESS CENTRE YOU ARE ALSO WELCOME. VIP Home Personal training provides home visits with fitness and personal trainers all over Dubai. You truly have no other option but to succeed when you kick off your program with a completely individualized program to eliminate any potential injuries and lay a rock solid foundation to jump start your fat loss and muscle toning. “I hardly eat and I still don’t lose weight!” I am sure you have heard it a thousand times before. But nobody has shown you exactly what to eat and in what amounts! We offer balanced nutritional advice to help you achieve your goals. We also offer a complete guide to what supplements you need to develop lean muscle. Are you interested in weight loss, wellness and fat burning? Tone up and shape up your body with our expert personal trainers. VIP Home Personal Training is a new approach to planning health and fitness more useful than ever before. With accountability at your doorstep, you will not give up a session! Whether it is Rain or light, VIP Personal Trainer is invariably willing to make you the best workout. You have to select the professional or certified personal trainer in the bringing up of your personal home training. In Dubai average women gets obese due to luxury lifestyle and food habits. In Female fitness training Centre, the trainers will set up personalized fitness and nutrition programs. Female personal trainer keep track records of weight, daily calories intake and burning through pre and post common exercise such as aerobics, stretching and aqua aerobics. Female Personal Training clients have multiple requirements, objectives, and goals. With this in mind, VIP Personal Training creates personalized training manual and workout programs on an individual basis, which consists of your aims, health ability, lifestyle, common habits, etc. Female Personal Training main goal is to set up new good habits, move and make the client truly love the sport and eating healthy food. 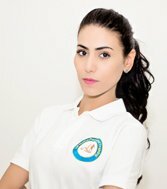 Being specialized in a body weight loss programs for the female personal trainer in Dubai can promise good result after 10 to 12 sessions. It is common practices in Dubai to hire a personal fitness trainer to keep you feet. If you follow the instruction and do some extra workout, you can get the best result. 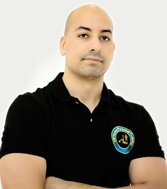 A personal trainer and dance teacher, specializing in lifting, tightening and shaping. Professionally trained in classical ballet at the Victorian College of the Arts and National Theatre Ballet School, Australia. Pilates mat, Muscular Structure work.